Step up to fight depression, PTSD and suicide! 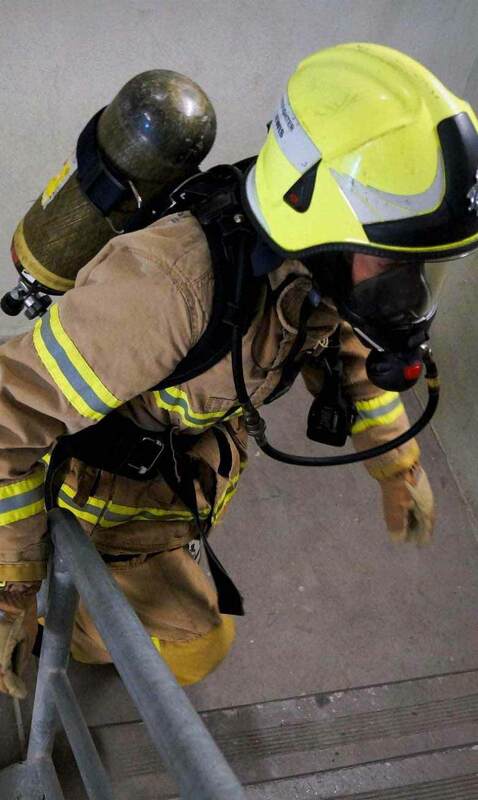 On Saturday 1st September 2018, 650 Firefighters will “step up to fight depression, PTSD and suicide” by climbing the 28 floors of Crown Metropol Hotel wearing 25kgs of turnout gear and breathing apparatus. This year, with your help, we aim to raise $700,000 for Lifeline and the Black Dog Institute to improve support services, fund research, remove stigmas and raise awareness of Mental health issues like depression, Post Traumatic Stress Disorder and suicide, especially for those within the Emergency Service and Defence communities..
3,000 Australians die by suicide every year, an average of eight people every day. Lifeline is a national charity, operating 41 centres across Australia, providing those experiencing a personal crisis with access to 24 hour crisis and suicide prevention support. Lifeline receives over 1 million calls annually; almost 2 a minute, that can include thoughts of suicide, relationship worries, mental health concerns, loneliness and isolation, loss and grief, abuse and trauma among other issues. The $350,000 we aim to raise for them will ensure that staff and volunteers can cover the phones during peak periods on Friday, Saturday and Sunday evenings when people feel at their most vulnerable and turn to Lifeline. No call should go unanswered. Black Dog Institute is dedicated to understanding, preventing and treating mental illness, by combining clinical services with cutting-edge research, health professional training and community education. Its work focuses on youth, Indigenous communities, men and high-risk workforces like the Emergency Services. Primary areas of research and treatment include depression, bipolar disorder, PTSD, anxiety, suicide prevention and e-mental health. The $350,000 we aim to raise will support Black Dog’s research, and the continued development and delivery of effective treatments and programs. Below are just a few of the firefighters climbing this year. Please take a minute to read why they are taking part. The MFSC would like to extend a heartfelt thanks to climbers, Climb crew volunteers, sponsors and donors of MFSC17 for the outstanding fundraising achievement of $514,276. These funds have been used to change and save lives at Lifeline and Black Dog Institute.